Finally! Gluten-Free pasta that actually tastes like pasta!! Pasta from Gragnano, a small hill-side town located outside of the Naples, Italy area is extremely different than ordinary pasta. 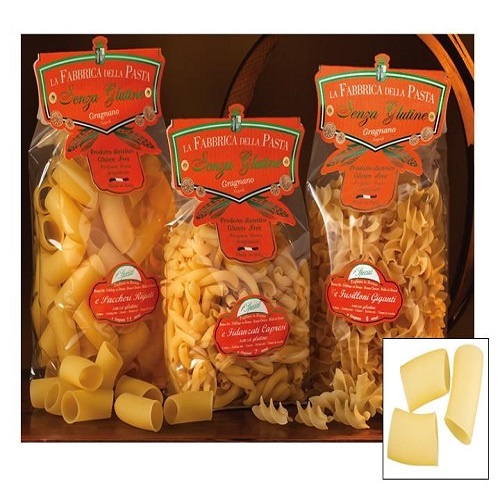 It may be because of the sea air, mountain breezes or traditional pasta-making methods used, but the pasta from this area is nuttier in flavor and has more texture than normal pasta, which allows it to hold sauces better. One taste and you'll experience the Gragnano difference!